Saurabh Kumar, Managing Director at In2IT Technologies. Global technology services firm, In2IT Technologies, has opened and unveiled their innovative Global Operations Centre (GOC) at their new, larger office located in the heart of Sandton. The move provided additional real estate not only for the GOC but also to cater to the company's rapid expansion. The GOC is described as a 70-seater innovation hub, where various teams are set to work on cutting edge and emerging technologies such as the Internet of things (IOT), artificial intelligence (AI) and the blockchain. It also doubles as a client experience centre, where In2IT can introduce prospective and current customers to these technologies and the many ways they can help organisations to move forward. 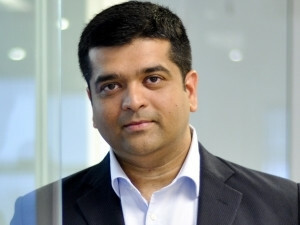 Says Saurabh Kumar, Managing Director at In2IT Technologies: "Many emerging technologies and trends are viewed as futuristic, but we want to show our customers that this is not the case. The future is happening now and In2IT is at the heart of exploring and developing new technology. The GOC will help us to show the many use cases of new technologies and how we can integrate them into the environments of our customers, for their benefit." According to Kumar, the new GOC has a very young and vibrant vibe, with over 60% of its staff under the age of 25 and with most of them having graduated from In2IT's learnership programme. "We have designed the interior of the office and GOC with an emphasis on encouraging creativity and innovation, promoting productivity but in a relaxed environment," he says. "There are areas for employees to relax or brainstorm, and even a space for kids should staff need or want to bring their children to work." Kumar adds that the additional space will enable In2IT to continue - and expand - their learnership programme, as well as enable them to be more customer-centric. "We want to transition customers towards a twenty first century corporation - or 21CC way of doing business. To do so, South African organisations need to embrace new technology and start implementing plans to incorporate it into their environments. We invite customers, both existing and potential, to come and visit our new offices where, at our GOC, they can fully explore the possibilities of technology and how to make it work best for them." In2IT is a global technology services firm focused on providing IT consultancy, application development and maintenance, technology infrastructure services, programme and project management as well as future edge services to its clientele. The company constantly anticipates the rapidly changing technology landscape and the impact on clients. In2IT features technology practitioners who work alongside its customers to help streamline processes, ensure optimal usage of deployed solutions and deliver a high-performance customer-centric service. The company is driven by a passion to build innovative businesses for its clients. Its experience shows that if the company serves its clients well, its own growth will follow. With more than 80 global customers, In2IT strives to be the first choice for world's best talents. Through its internal In2IT Academy, the company is committed to continuous learning and giving its practitioners freedom to innovate. In2IT is present across nine cities in South Africa with more than 60% of its staff complement comprising local nationals. The company has an Africa Innovation Centre in Illovo, Johannesburg, South Africa focused on social media, mobility, analytics and cloud (SMAC) and Remote Infrastructure Management (RIM). In2IT is a CMMI Level 3, ISO 9001:2008, ISO 27000 and ISO 20000-1 certified company.